A man was arrested in the murder of rapper XXXTentacion. NBC 6 Reporter Amanda Plasencia explains. 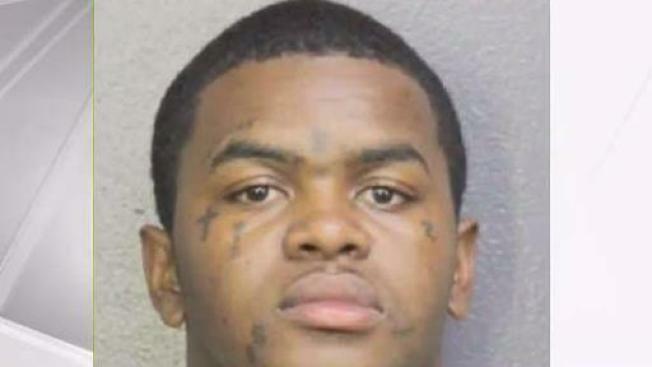 A 22-year-old man arrested in connection with the fatal shooting of popular rapper XXXTentacion outside a Deerfield Beach, Florida, business earlier this week will remain behind bars for the time being. Dedrick Williams was arrested by deputies during a traffic stop in Pompano Beach and booked Wednesday evening on charges that include first-degree murder, Broward Sheriff's Office officials said. In court Thursday, Williams was denied bond on all three counts against him and will have his next court appearence on Monday. Authorities say the 20-year-old rapper, whose real name is Jahseh Onfroy, was shot while sitting in his car Monday afternoon outside of Riva Motorsports. Several witnesses say they saw two men fleeing the scene after the shooting wearing masks. Detectives are seeking more suspects, officials said. Officials believe the motive was a robbery. XXXTentacion's attorney, David Bogenschutz, said Tuesday that investigators told him the rapper had visited a bank shortly before the shooting and possibly withdrew cash to buy a motorcycle at Riva Motorsports. It was not immediately clear if Williams had an attorney who could answer to the charges. Court records show Williams has been charged previously with several felonies, including grand theft auto, domestic violence, cocaine possession and possession of a firearm by a convicted felon. It does not appear, however, that he has ever done prison time for these charges and some of them were dropped. Williams does not appear in the Florida Department of Corrections offender database, but was on probation for the auto theft conviction. Nobody responded at Williams' home, a rental bungalow in a modest neighborhood of Pompano Beach. Debris littered the yard in front and back along with the aftermath of some automotive work, with a tarp, oil and tools. Neighbors, many of whom did not want to be quoted, said they knew Williams as a tattoo artist. They complained of noise from his riding of all-terrain vehicles but said they didn't otherwise have any trouble with the family that lived at the home. Richard Slappy, 58, an electrician who lives a few houses down and across the street, said a woman and children also lived there. "I've seen him riding them 4-wheelers," Slappy said. "I was glad I didn't stay next to him because there was all that 4-wheeler noise going on down there." XXXTentacion, who sported dreadlocks and facial tattoos, was a rising star. He notched a No. 1 album in March with his sophomore effort "? ''and had a top 10 hit with "Sad!" But he also generated controversy. In 2016, he was arrested on charges including home invasion for a 2015 incident, and less than a month later was jailed on charges that he attacked his girlfriend, who was pregnant at the time. Later, he faced more charges including witness tampering. In a recent interview with the Miami New Times, XXXTentacion described his upbringing, which included seeing his mother infrequently and being raised by friends, family and baby-sitters. His mother bought him clothes, phones and other gifts. He said he used violence so she would engage with him.